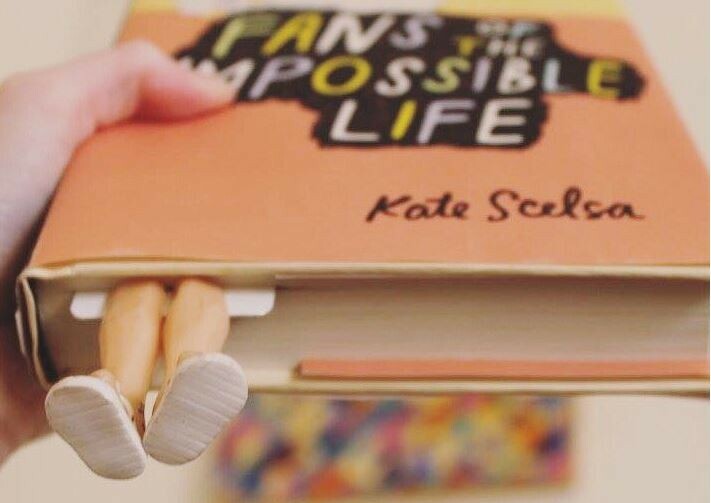 For Kate Scelsa, a quirky writer who often calls herself a “lesbian with cats,” her first novel, Fans of the Impossible Life, was written as an answer to the problem she saw in contemporary young adult literature: a lack of diverse queer characters. Scelsa felt that although more and more queer characters were cropping up in YA books since the 1990s, it wasn’t really until the past few years that the representation became diverse. By “diverse,” she means showcasing a variety of queer experiences: characters going through a rough coming out alongside religious queer characters alongside non-binary characters. In order to truly represent what it means to be queer, Scelsa thought that literature needed to highlight more than one queer narrative — the singular coming out tragedy that dominated the scene in the mid-90s and early 2000s. How often do you pick up a YA novel and find more than one queer character, especially if any are main characters? It’s a rarity, but one that Scelsa sees as changing. “When we talk about diversity and our frustrations with diversity, the only control we have is to write those stories and make them so good that they can’t be ignored,” she says. That’s where Fans came in. It was Scelsa’s way of writing “those stories.” A longtime reader of literature with queer characters, Scelsa was inspired originally by Brideshead Revisited by Evelyn Waugh and its character Sebastian. It was rare to see a queer character in a book written before 1990, says Scelsa, so Sebastian stuck with her. She felt that the narration and three-character structure worked for the story she wanted to tell in Fans, though. “The smaller you get, the more you can pay attention to the details — your characters’ feelings and motivations,” she says. She was really able to hone in on what Mira, Jeremy, and Sebby wanted out of life and what motivated their actions throughout the novel. It took several attempts before Scelsa worked out the narrative choice to handle three separate character perspectives. For a while, she explains, it was just Mira telling the story. She felt that it was hard to connect with Mira on a deeper emotional level until it finally clicked: If she brought in the first-person perspective of other characters who grew to love Mira, then readers would grow to love her as well. One of the main ways Scelsa made a difference with Fans was the way she portrayed diverse queer experiences, including what it means for a shy teen to have a self-confident queer friend as a role model. 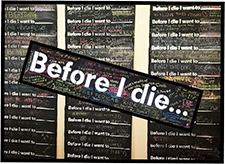 Scelsa finds that one storyline that’s often lacking in YA lit is the difficulty someone can face when coming out — even if they have every reason to believe that they’ll be accepted by friends and family. 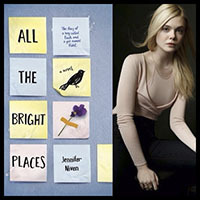 If there aren’t going to be consequences to coming out, Scelsa says, that can make the individual feel even more guilt, and they may find themselves wondering, “Why can’t I accept myself?” She wants readers and queer young adults to know that they can be compassionate with themselves in that moment, and that it can take time to accept yourself even if you don’t foresee external roadblocks to coming out, such as being alienated by family or losing your home. 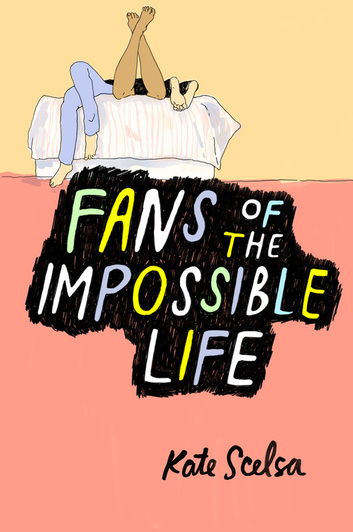 Many readers have compared Fans of the Impossible Life to the well-known Perks of Being a Wallflower. Scelsa feels that in some ways, Fans is a subconscious answer to the problems in Perks. She was frustrated that the queer characters in Perks weren’t at the center of the book — so she wrote a novel where queer characters were at the center in abundance. Scelsa lives in Brooklyn with her wife, Amanda, and their two black cats. The two of them have been very involved in theatre, and Scelsa still performs with Elevator Repair Service after spending a majority of her twenties traveling the world with them. She has performed in several plays based upon great American novels, such as The Great Gatsby and The Sound and The Fury. “My community in New York is the downtown weirdo community,” she jokes. Scelsa is currently working on her next novel, which she calls her “feminist manifesto,” along with the podcast she runs with her father, Vin Scelsa, who spent 50 years radio DJing in New York City. The podcast centers on the history of radio, and the two share clips of Vin Scelsa’s old radio interviews, like one with Kurt Vonnegut. 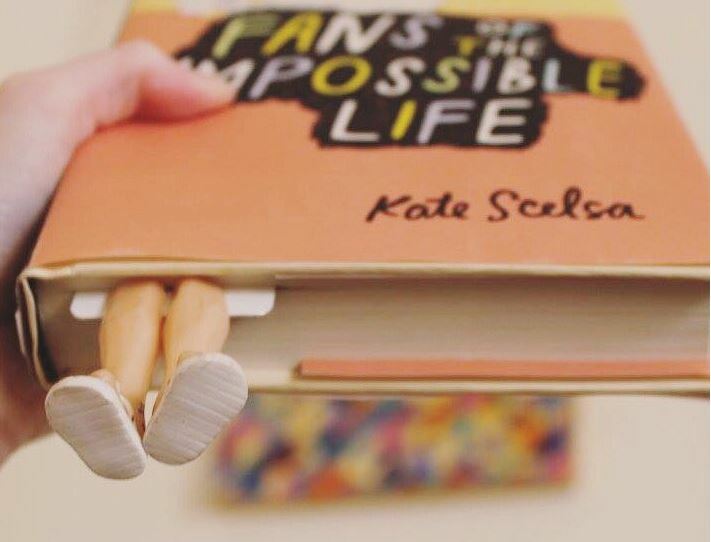 You can find Kate Scelsa online on her website, on Tumblr, on Twitter, on Facebook, and on Instagram. Alaina Leary, Germ's Style Editor, is a native Bostonian currently studying for her MA in Publishing and Writing at Emerson College. 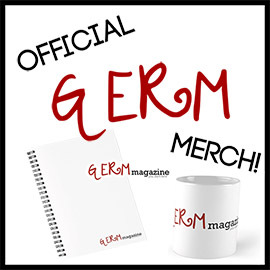 She's also on the creative teams at Luna Luna Magazine, We Need Diverse Books, Germ Magazine, and a few others. 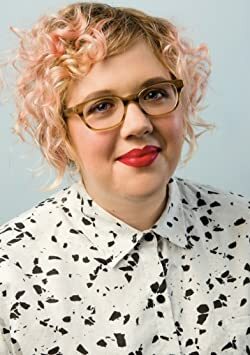 Her work has been published in Cosmopolitan, Seventeen, Marie Claire, BUST, Redbook, Good Housekeeping, AfterEllen, and Ravishly. When she's not busy playing around with words, she spends her time surrounded by her two cats and at the beach. She can often be found re-reading her favorite books, watching Gilmore Girls, and covering everything in glitter. You can follow her on Instagram and Twitter @alainaskeys.